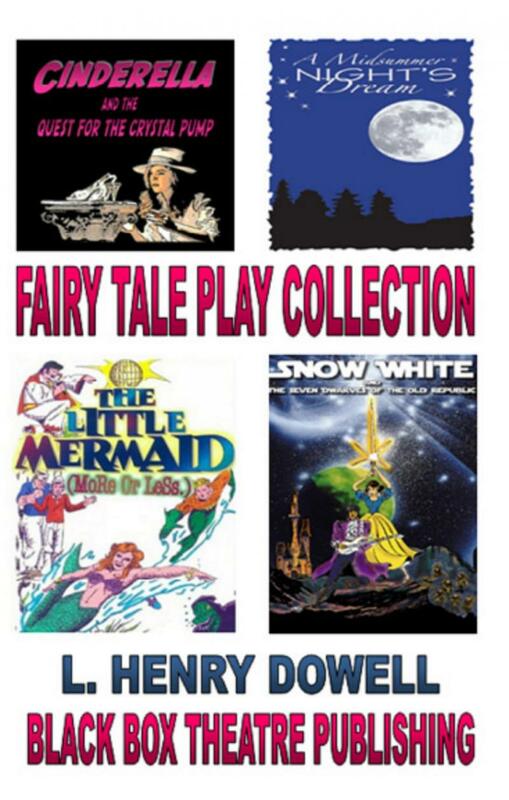 A collection of four of our most popular Fairy Tale plays! 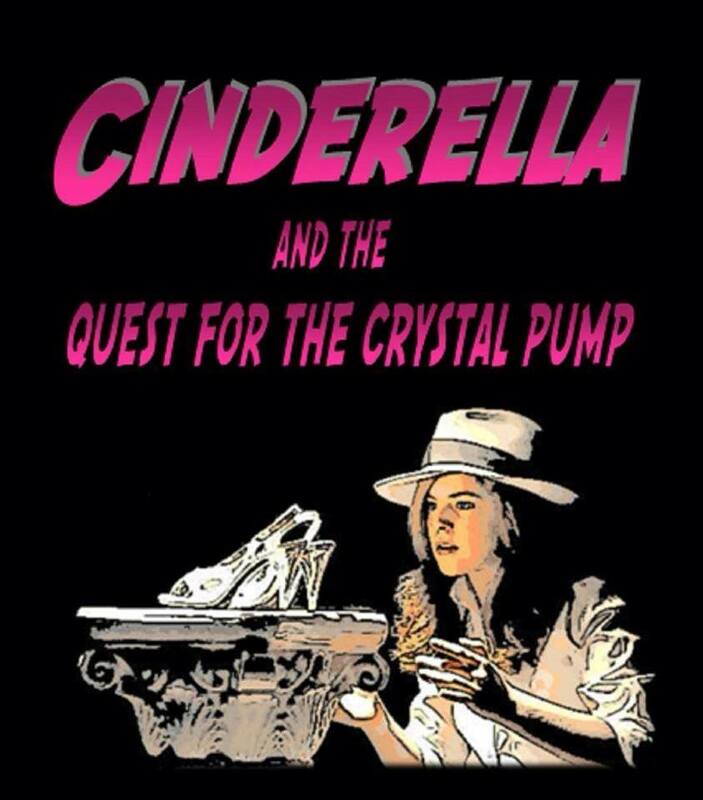 CINDERELLA AND THE QUEST FOT THE CRYSTAL PUMP. Cinderella wants to go to the Prince's masquerade ball, but there's one problem...she has nothing to wear! Luckily, her Fairy Godperson has a few ideas. Meanwhile, Prince Charles Edward Tiberius Charming III, or "Charlie" as he prefers to be called, has run away with his pals, Touchstone the Jester and the Magic Mirror. Now this mismatched quartet find themselves on a quest to find the greatest treasure of all...the perfect pair of Crystal Pumps! Cast Size: 13. Running Time: 60 minutes. A MIDSUMMER NIGHT'S DREAM. 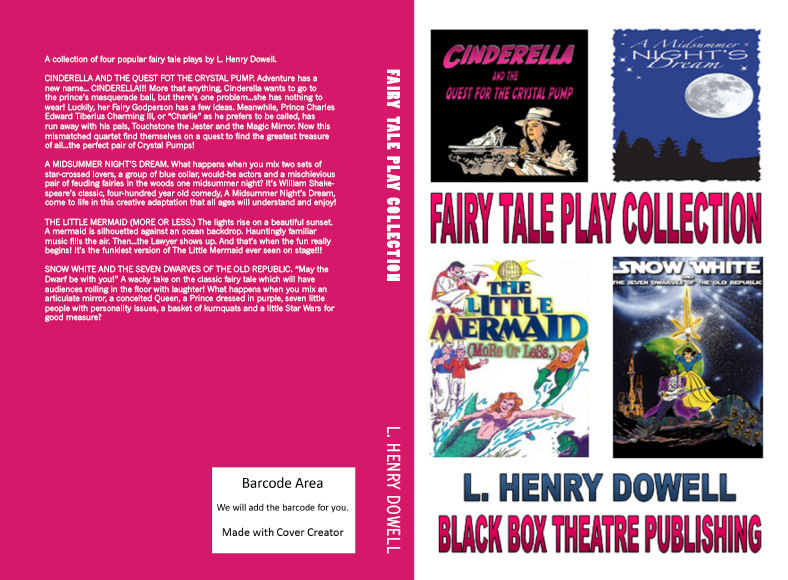 What happens when you mix two sets of star-crossed lovers, a group of blue collar, would-be actors and a mischievous pair of feuding fairies in the woods one midsummer night? 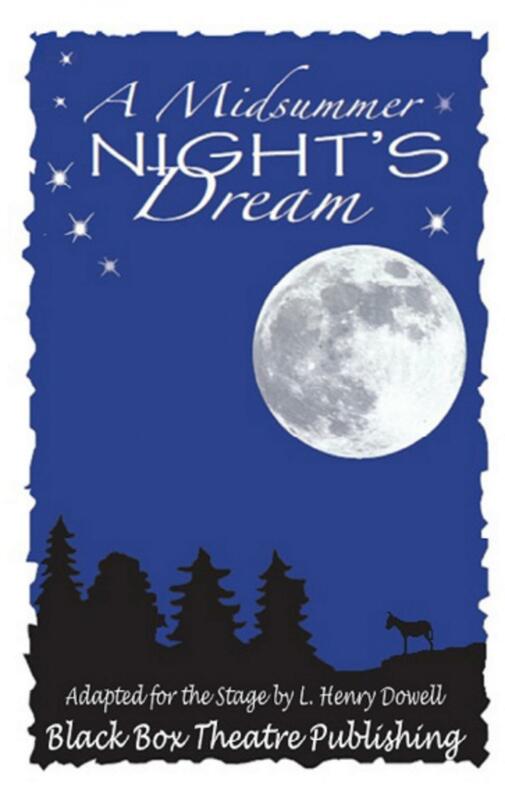 It's William Shakespeare's classic, four-hundred year old comedy, A Midsummer Night's Dream, come to life in this creative adaptation that all ages will understand and enjoy! Cast Size 23. Running Time: 120 minutes. 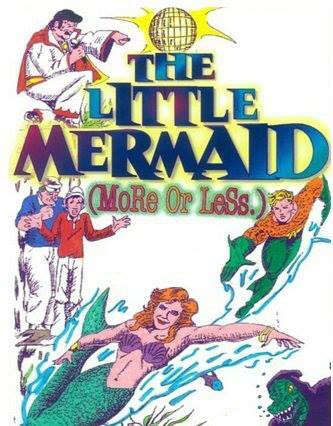 THE LITTLE MERMAID (MORE OR LESS.) The lights rise on a beautiful sunset. A mermaid is silhouetted against an ocean backdrop. Hauntingly familiar music fills the air. Then...the Lawyer shows up. And that's when the fun really begins! It's the funkiest version of The Little Mermaid ever seen on stage!!! Cast Size: 30 with doubling possible. Running Time: 45 minutes. SNOW WHITE AND THE SEVEN DWARVES OF THE OLD REPUBLIC. What happens when you mix an articulate mirror, a conceited Queen, a Prince dressed in purple, seven little people with personality issues, a basket of kumquats and a little Star Wars for good measure?